Onto each toothpick, thread 1 tomato, 1 basil leaf and 1 piece of cheese; place on serving plate. Just before serving, drizzle kabobs with dressing. 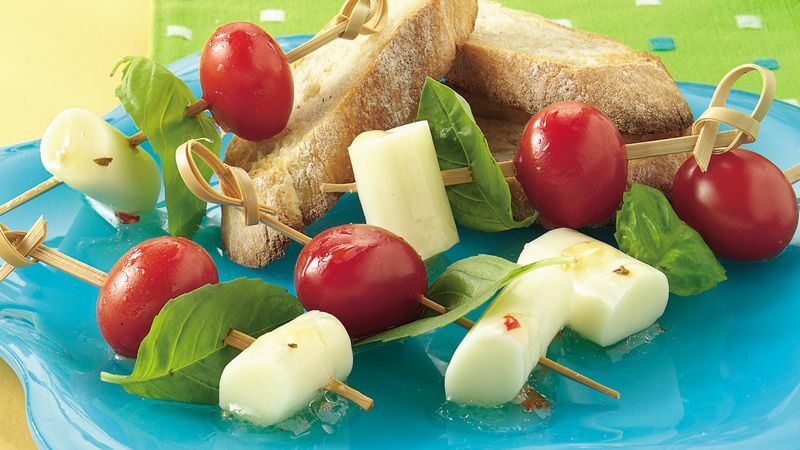 These appetizers can be assembled the day ahead. Cover and refrigerate. Drizzle with dressing just before serving.